From the Embacher Collection. 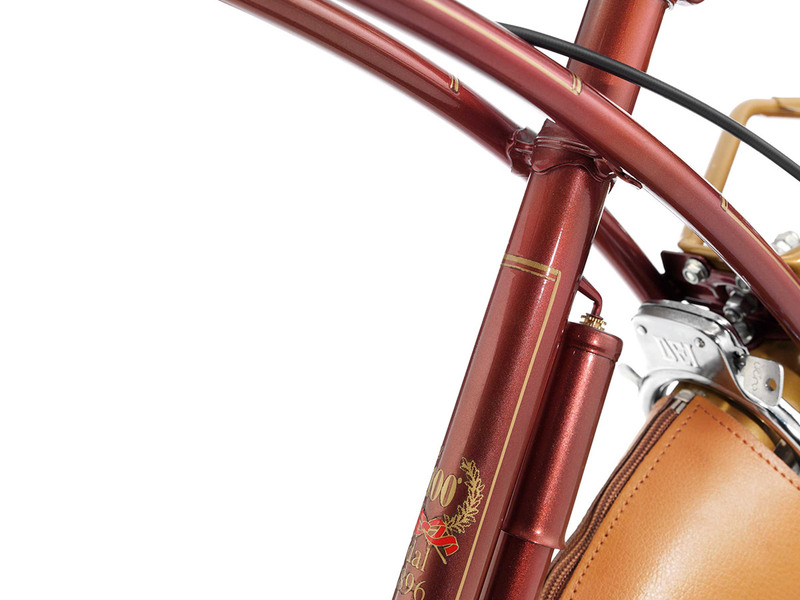 Bicycle maker Umberto Dei has been building bikes since 1896. This steel framed bike is from 1996. I could spend hours at The Embacher Collection’s website. 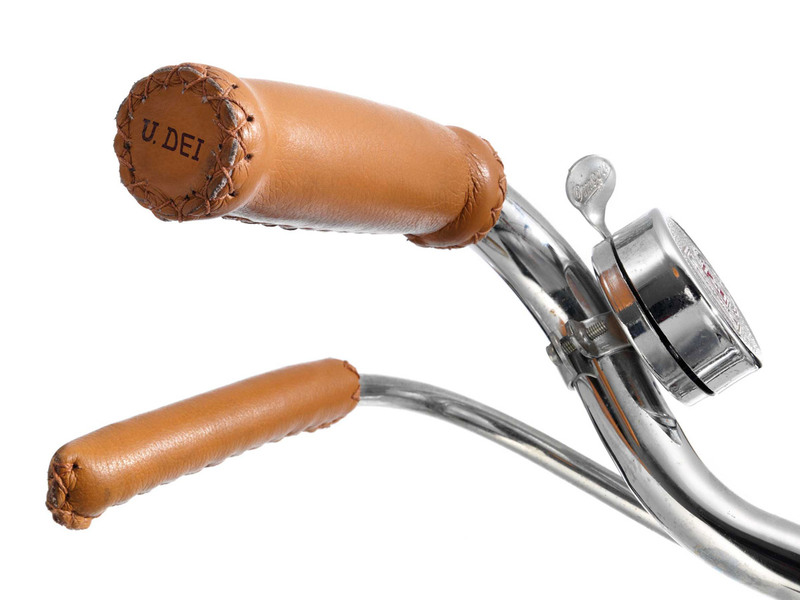 Umberto Dei has been involved in the bicycle market since 1896, so it has a wealth of experience. 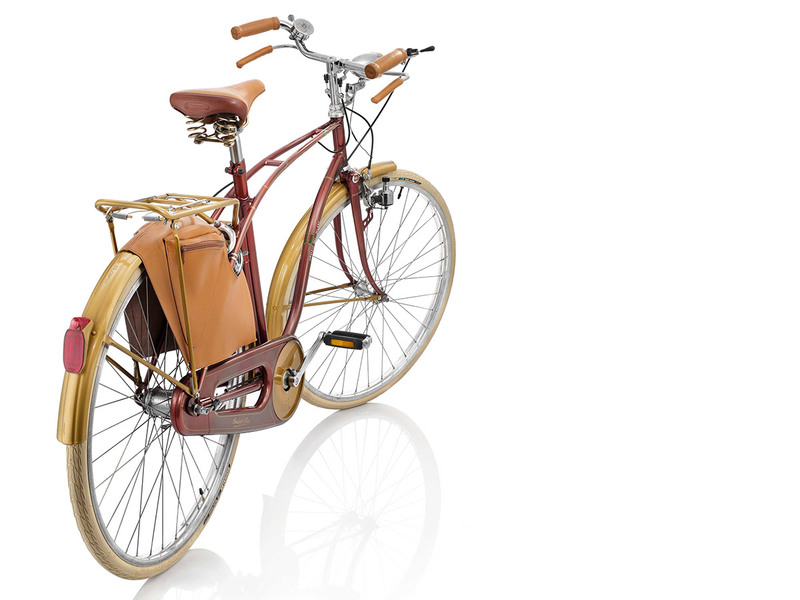 The company celebrated its centenary by launching a high-end city bike, the Giubileo. 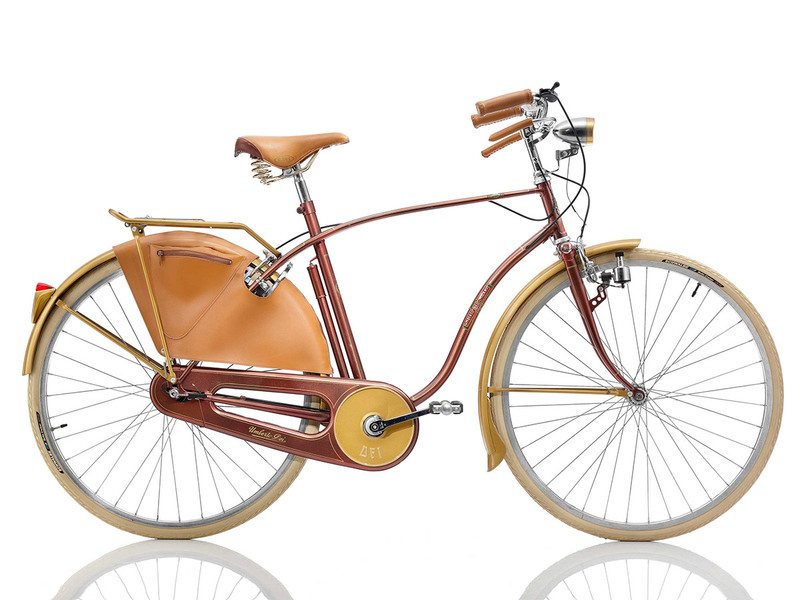 Made by hand, it had exquisite leather handles, a sprung leather seat, leather rear wheel cover and even little saddle bags. The women’s bike also came with a large shopping basket at the front. The bicycle shown here is number 16275C. 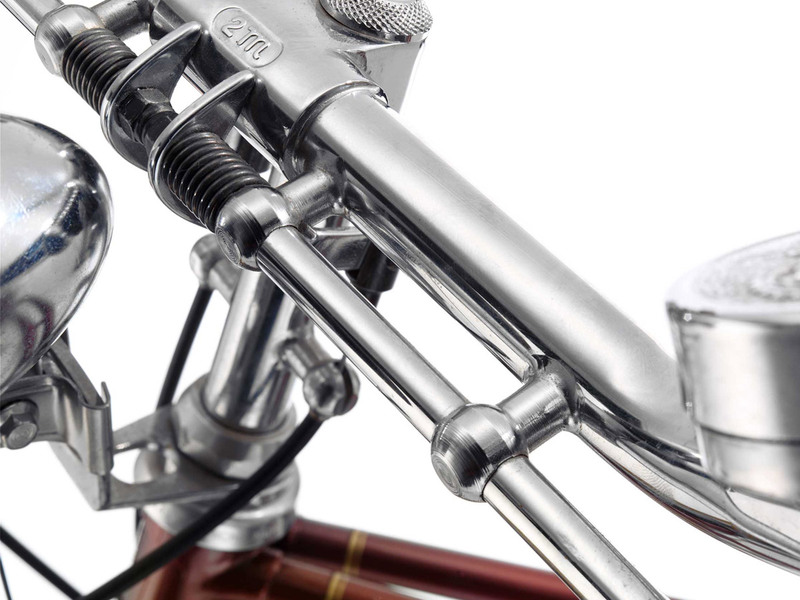 The brand had its beginnings in racing bicycles and – despite the limited financial means of its founder – Dei managed quickly to establish a reputation as an innovative, modern constructor of light racing bikes early in the 20th century.